Social media influences many major business decisions today. 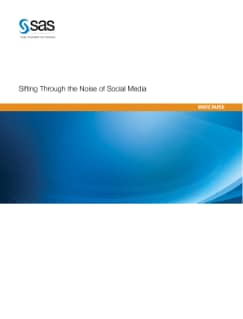 To cope with these escalating volumes of data, your organization may be developing a social media strategy. But do you recognize why data management should be part of that strategy? It's because social media data simply adds more noise to the clutter of information at hand unless you use the right tools and processes to sort out what is relevant to your business. By aligning data quality with unstructured data, this prolific, valuable data source can be an asset for your business – instead of a detriment.